In our last post we covered how to apply analog gain-staging practices to melodic material. However, our ears respond much differently to percussive material, which is composed of transients instead of tones. A PPM meter responds much more quickly to level changes, and as such it’s better suited to drums and percussion. 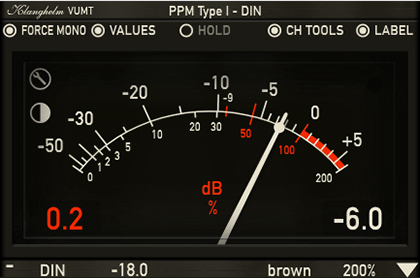 Using VUMT, pull up a DIN meter and apply it to a snare or kick track. Adjust the pre-fader clip volume so that the needle is reading a little under 0. You’ll notice that while the hits are fairly consistent, there are couple hits around the 1/3rd mark that are much louder than the rest. In our last post, we dealt with this problem by manually adjusting the volume; while this is a completely valid approach, it’s not always an option to go through hundreds of hits by hand. Instead, let’s take an analog approach. Back in the days of analog tape, meters weren’t fast enough to respond to “peaks” as we think of them today; when your meters are sitting around 0PPM, loud hits like the ones above could easily slip through without being caught. However, tape responds much differently than a digital recorder. When audio reaches maximum level, tape goes into saturation, clipping peaks while generating harmonic distortion. 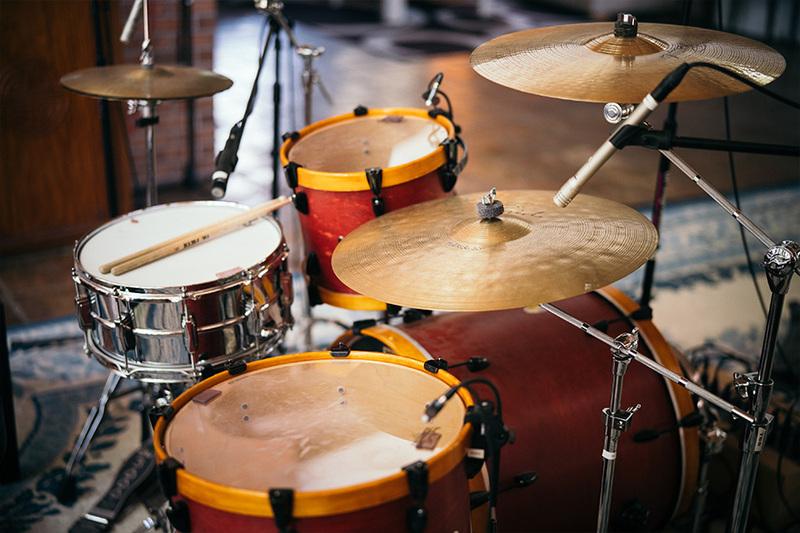 While this effect is rarely desired for melodic material, for drums it not only preserves most of the dynamic impact, but can actually enhance the sound. In the digital domain, we can selectively use this effect to enhance our drums in a more transparent manner. TDR Limiter 6 ($60 USD) is an incredible plugin that’s perfectly suited to the task. We’re going to use just the clipper module here, set to a drive of 0dB, threshold of -6dB, knee of 2-4dB, and with the mode set to “open.” This gives what’s called a “soft clip” that’s very similar to the clipping properties of tape. If your peaks are sitting around 0PPM, the clipper shouldn’t be engaging regularly; at most, it should be shaving off 0.5 dB from your hits. But on those few errant peaks, the clipper will dig in and clip off the tops, just like tape. You shouldn’t be clipping more than 3dB unless you want audible distortion, and there are better tools for that job than a clipper. What we’re doing is emulating a property of tape to transparently control our peaks. While Limiter 6 is a great option, any plugin with a soft clipper should be able to accomplish the task. Just as before, we don’t need to delve into the technical side of this to go on with our mix; by following the steps above, you’ll have drum hits that are dynamic and consistent in level with the rest of your tracks. No matter what methods you use, I can’t stress enough how important it is to take the time to gain-stage your tracks correctly before you begin your mix. By properly preparing your audio, you set yourself up for a fast, intuitive mix session that puts the best of both worlds into practice.